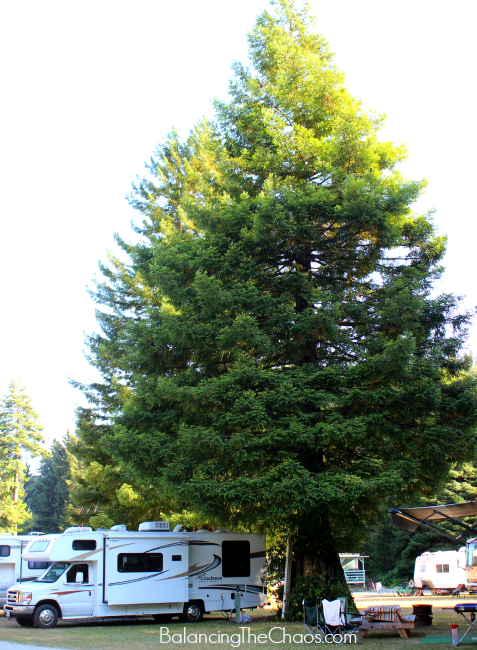 During our travels we discovered an RV Park we truly love – Mystic Forest RV Park and Campground. 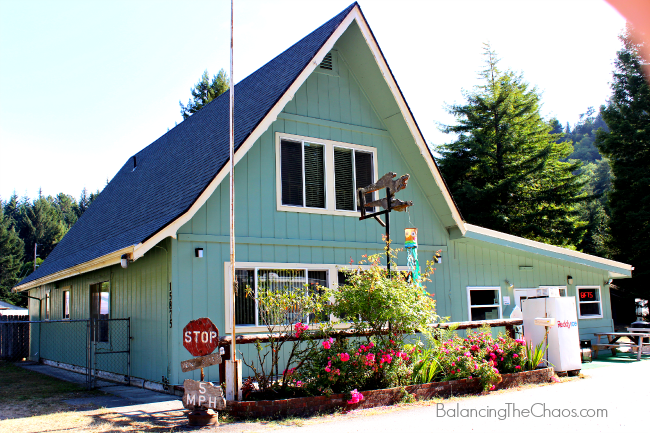 Located in Klamath, CA amongst the giant redwoods, this little RV park is great for families. We pulled into the drive and checked in at a quaint blue cottage that also served as their grocery /gift store. In talking with the couple that manages the location, did you know that most RV stores must contain enough food to sustain at least two days of meals for guests. 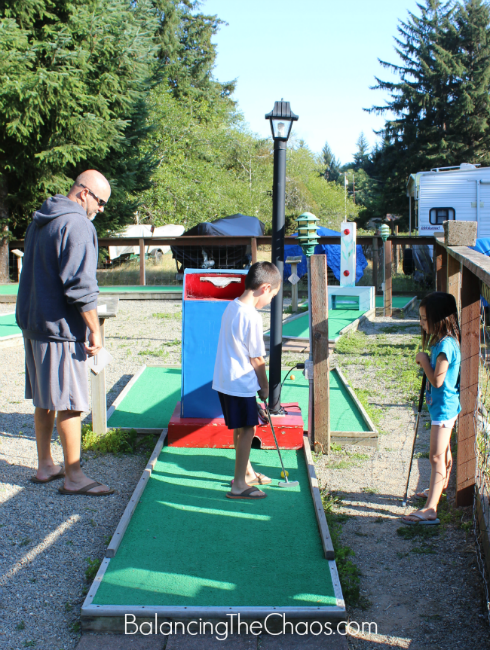 Even though a small RV park and campground, Mystic Forest has 12 RV site that includes typical hook up amenities including electricity, water, sewer and satellite tv; they also 30 tent camping sites. Each camping site is in a little pocket of the forest surrounded by trees. Their only connection was the access road. The hubster selected a pull through RV site that was directly under one of the beautiful trees located smack dab in the middle of the campground. Once we were all set up, connected and even WiFi’ed up (they also provide FREE internet connections), they set off exploring while I started dinner. First stop was the playground. 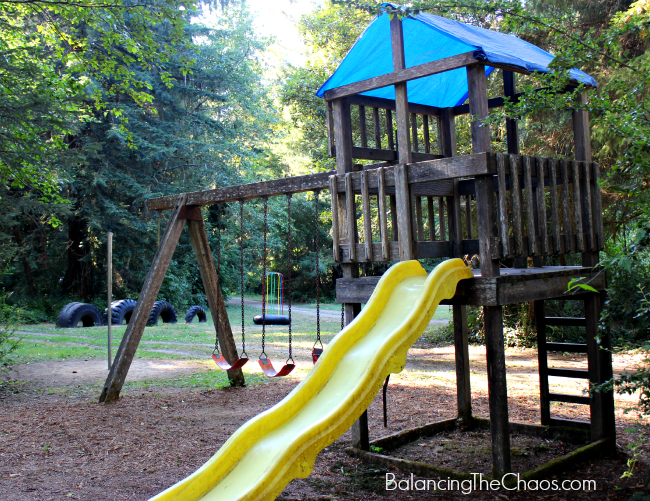 Like I said, this campground is really designed for all ages – they have a jungle gym with slides, giant truck tires in the ground to climb on, and a large jumping tire with rails. We even joined in on the fun until some new friends joined in on the bouncing fun. 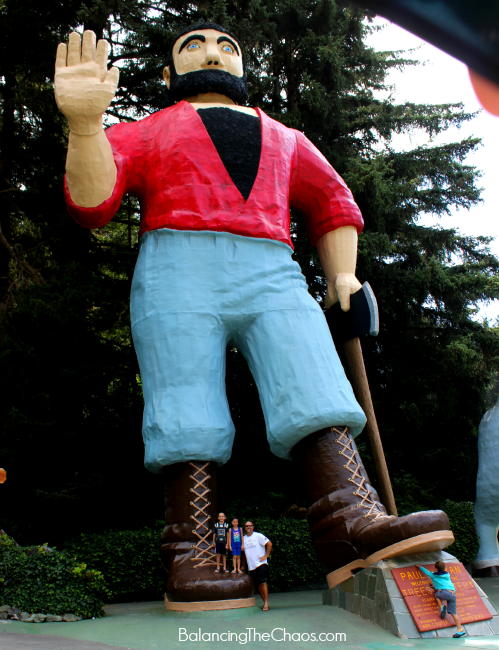 Next, they picked up some golf clubs and played golf on Mystic Forest’s 18 hole mini golf course. I think this is the first ever campground we discovered with their own course. Around the property is a small trail that runs about a quarter of a mile. Of course we checked it out as we needed to report back to our camping neighbor who did not wander through the trail yet. The kids, enjoyed discovering different plants, flowers, even a few mushrooms taking pictures with my camera and phone to document our time. After dinner we ran off to the game room. Nothing fancy, but the game room offered a Pac Man/Galaga arcade game, a ping pong table, foosball table, shuffle board and billiard tables. Now we only stayed overnight as we were on a mission to visit our friends in Washington again, however it would be a great place to stay a week, especially since the Trees of Mystery is only about 10-15 minutes away you can meet a giant Paul Bunion and his pet ox while touring through some of the giant redwoods. 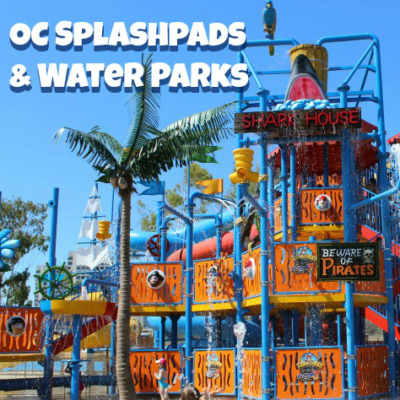 We’d absolutely stay again since we felt that the campground and amenities were an awesome value for $35/night. 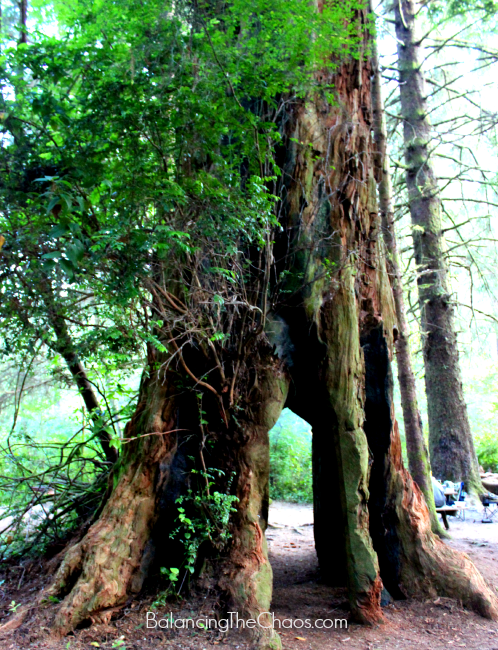 To find out more about Mystic Forest RV Park and campground, visit their website MysticForestRV.com. Sounds beautiful. I want to do this too!